For heavy duty scrubbing prior to recoating Removes dirt, spills, and scuffs, leaving a clean surface ready for recoating. For buffing very soft finishes or for polishing soft waxes on wood floors. Removes scuffs and black heel marks and enhances floor appearance. 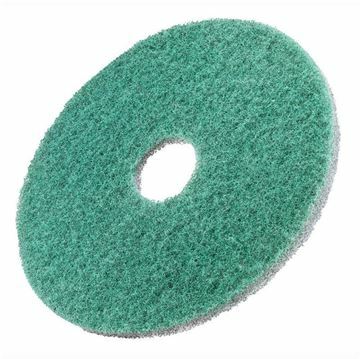 Used for light cleaning to help remove soil and scuff marks with minimal dulling of finish Can be used to polish wood floors, spray cleaning or dry buffing soft finishes (using a rotary machine) Made of polyester fibers in an open textured non-woven construction. Polishing particles are dispersed throughout and bonded to the non-woven construction with a durable adhesive. 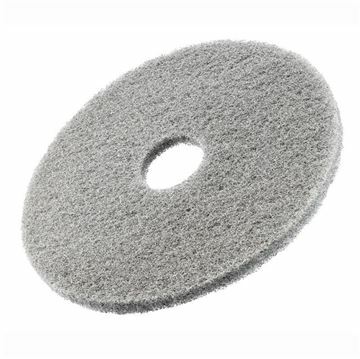 Eco- friendly stone floor polishing pads for surfaces such as marble, terrazzo, concrete etc.Twister™ is a revolutionary cleaning system consisting of floor pads prepared with billions of microscopic diamonds which clean and polish the floor mechanically instead of using chemicals. This system is part of eco-friendly cleaning revolution.Twister can be used on the most common floor surfaces such as terrazzo, natural stone, concrete, vinyl and epoxy. Twister is the tool that transforms your dull, worn floors into clean, glossy and brightly polished floors. Twister is so effective that the result is a clean and hygienic floor without any need for layers of wax and polish. The only totally eco-friendly cleaning concept alternative to traditional chemical- based cleaning.